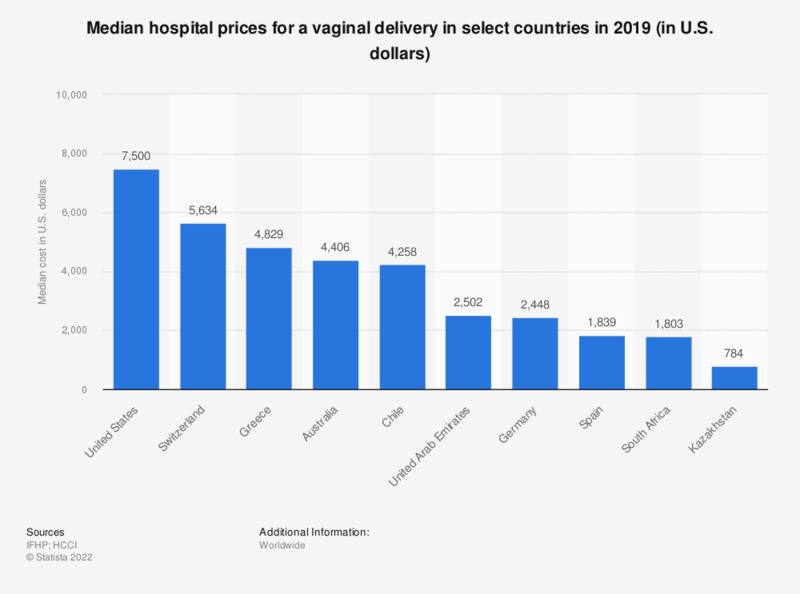 This statistic displays average hospital and physician cots for a normal delivery in selected countries in 2015. In that year, the cost for hospital and physician of a normal delivery averaged 5,312 U.S. dollars in Australia. * 25th percentile: 8,011 U.S. dollars; 95th percentile: 18,383 U.S. dollars. The values reported are estimates of 2014 prices based on 2014 claims. The prices reported are the average allowed costs, which include both member cost sharing and health plan payment. Do you care how much procedures cost the NHS?